Now through February 28, 2019 Harley-Davidson® of Dallas in Allen will match your TAX Refund up to 2500.00 on any USED Harley-Davidson®! 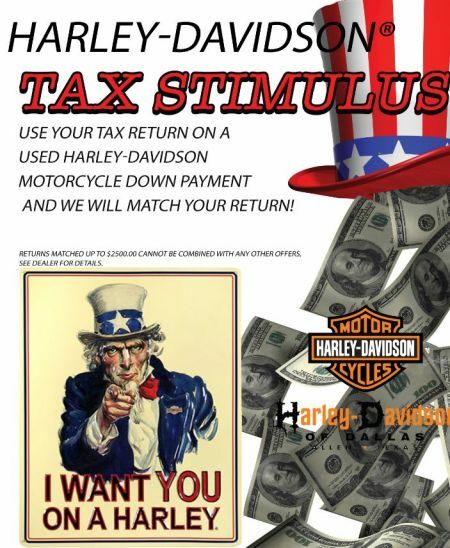 Bring your Tax refund in today and let us help you get into the Motorcycle of your dreams! *Some restrictions may apply. Please see dealer for complete details. Offer valid 2/1/19-2/28/19 only.